As Interim Executive Director, Lisa is a diligent guardian of BACHAC’s reputation as the ‘go-to’ organization for bridging the health care gap in underserved communities. She assures the effective execution of all BACHAC initiatives, while seeking and nurturing essential partnerships with non-profit, civic, government and corporate entities. Lisa is the primary liaison to give a voice to BACHAC’s community on city, county and state policies that impact BACHAC’s outreach work. She manages the fiscal health of the organization and is responsible for the development of strategies and action plans to ensure the stability, sustainability and impact of BACHAC. Lisa brings extensive experience in leadership, diversity and inclusion to her role as BACHAC’s Interim Executive Director. During a decades long career with Genentech, she was an accomplished Diversity and Inclusion (D&I) practitioner, with extensive project management and strategic partnership development skills. She has a comprehensive community liaison/investment background, including strategic work with management and leadership development, people with disabilities, STEM education, and LGBTQA initiatives. Her career achievements and community dedication have been honored with recognition including the 2016 Extraordinary Contribution Award from AAIB (Genentech’s African American ERG), the 2016 Champion Award from gPRIDE (Genentech’s LGBTQA ERG), the 2015 Applause Award (Genentech Peer Recognition for ERG Management), the 2014 North America Disability Matters: Steps to Success Award, a 2013 Gracias Award from the Latinas Contra Cancer, and the 2009 Heroes for Health award from BACHAC. Lisa earned a B.A. in Biology from Mills College and a California Diversity Management Certificate from the Bauer College of Business, University of Houston. BACHAC’s trailblazing co-founder, Gloria Rhodes Brown, M.P.A., has been devoted to improving the lifestyle and health of her community for almost 50 years. Over several decades, she has passionately advocated for targeting health issues of vital importance to underserved populations. Nutrition Education for Youth and Adults program that reaches the community through more than eighteen congregations. Health screenings at BACHAC signature events and churches, bringing critical health information and service directly to underserved populations. A grant from State Farm to implement an Anti-Bullying program in the Jefferson Union High School District. A program to provide thousands of uninsured women with free breast screenings through the Mills-Peninsula Breast Center. A sustained legacy of volunteerism and devotion has garnered Gloria significant public recognition. 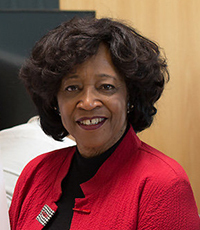 Gloria has served on numerous boards and commissions including the Mills-Peninsula Board of Directors, the Silicon Valley Community Foundation, the African Women’s Development Fund USA Board, the Faiths Committee of the UCSF Helen Diller Family Comprehensive Cancer Center, and as a Trustee of the Notre Dame de Namur University Board of Directors. She is currently a member of the Facing Our History Emeritus Advisory Committee and the St. James Community Foundation Board of Directors. Gloria earned her Bachelor’s Degree in Home Economics with an emphasis in Nutrition Education from Texas Southern University and a Master’s Degree in Public Administration from the College of Notre Dame, Belmont, CA. 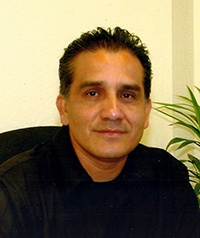 Julio Campos has more than 25 years of experience in community service and education and has worked with diverse communities throughout the Bay Area. He serves as a volunteer outreach worker for AACHAC’s Mammogram Program for low-income women in San Mateo County. Julio obtained a degree as a Radiologist in his native country, Peru, and subsequently worked at the Air Force Hospital in Peru and at the Medical Hospital of the University of Chile. His dedication to community includes his role as Case Manager at the Samaritan House in San Mateo County, where he has served for over ten years. Julio earned a ‘Taking Control of your Health’ Certification as Trainer of Trainers (TOT) from the Stanford University Medical Unit, and he presently conducts a series of seminars on topics such as diabetes, asthma, and other chronic conditions. He is also a certified trainer of the Lupus Foundation of Northern California. Julio has received multiple recognitions for his generous work on behalf of the community, including the ‘Volunteer of the Year’ award from Operation Access, an organization that offers free surgeries to low-income patients. He is inspired by the interconnections between community organizing and community empowerment. An accomplished educator and ardent advocate of nutrition and health, Cheryl has taught a variety of nutrition courses at several California universities and colleges. Her work in community nutrition includes serving as the Program Manager for the Bay Area Region Network for a Healthy California African American Campaign and as the coordinator of the Shape Up San Francisco Bayview HEAL Zone. In both positions she worked with communities to increase healthy eating and active living. Cheryl currently teaches nutrition courses at Diablo Valley College and Merritt College in addition to her work as a Nutrition Educator and Consultant for BACHAC. Cheryl earned a BS in Biology from Azusa Pacific University, Azusa, CA and an MS in Nutrition from California State University, Los Angeles, CA. A devoted member of her community, Evelia Chairez has been a North Central San Mateo resident for twenty-five years. She works at the Peninsula Conflict Resolution Center, a local non-profit communication and conflict resolution organization promoting collaboration and community engagement. Evelia serves BACHAC as a Patient Navigator and Outreach Specialist for the Breast Screening Program. She also serves the community as a Board Member of the St. James Church and supports the organization by promoting parents’ involvement in their children’s education. Laura is the Latino liaison between BACHAC and the Mills-Peninsula Women’s Health Center. Her assistance has been essential to BACHAC’s dedicated outreach to the Spanish-speaking community. Laura plays a critical role for BACHAC in sharing information and knowledge for women and offering resources and referrals for free mammograms and information about women’s sexual health. She has also been an HIV and STD Counselor for ten years. During a career spanning seventeen years, Laura has devoted herself to community service in San Mateo County, working with several organizations and non-profit agencies, including the Public Health Department of San Mateo County. Her role with the Public Health Department is dedicated to linking communities that need physical, mental and spiritual health services to the agencies and programs that can serve them. She also works with the Breathe California Ash Kickers program to help families quit smoking. Laura was educated as a Community Worker and earned her degree from Cañada College. Dennis serves as a Community Outreach Specialist and Coordinator for BACHAC’s pioneering efforts to educate and inspire men in underserved communities to healthier living with the Men’s Health Symposium signature event. Dennis served in the U.S. Air Force for ten years, with assignments including Air Force Headquarters (The Pentagon), with a final grade of Captain. While on deployment in Vietnam, Dennis created an African American cultural group and taught Black history to help mitigate racial tensions on the airbase. He went on to forge a successful career as a technical writer in the corporate headquarters of major high-tech companies including Hewlett-Packard, Amdahl, Adobe Systems, Palm, Motorola, Nvidia, Intuit, and Google. Dennis serves his community in multiple capacities. He was a charter member of the One East Palo Alto (OEPA) Board of Directors, empowering the community to develop and improve their neighborhoods, and a Community Advocate to the San Francisquito Creek Joint Powers Authority (SFCJPA) to assure adequate flood protection for his community. He is an amateur (ham) radio operator specializing in emergency communication in the event of a disaster and a member of the Community Emergency Response Team (CERT), trained to help neighbors prepare for and recover from a disaster. He is also a Past Squadron Commander and 30-year member of United States Power Squadrons, dedicated to safe boating through education. Dennis was born and raised in Washington D.C., graduated from Howard University with a BA degree, and participated in the 1963 march on Washington, where Dr. Martin Luther King, Jr. made his historic “I Have a Dream” speech. *AACHAC changed its name to BACHAC in 2018.